Today we take a look at Sapient Automation, a leading provider of automated storage and retrieval systems, including Vertical Lift Modules (VLMs) Horizontal and Vertical Carousels, to businesses. Our industry profile looks at their supply & management competencies in automated storage systems. Sapient Automation, a subsidiary of MDCI, is a leading provider of automated storage and retrieval systems for manufacturing, distribution, warehouses, institutions, retail and wholesale. A full provider of automated and robotic Viper Vertical Lift Modules (VLMs), Avenger Vertical Carousels, Hornet Horizontal Carousels, Shark Inventory Management Software, IMHM (Intelligent Machine Health Monitoring), Spitfire Pick Carts and more. Sapient Automation recently announced the appointment of George Fiorentino, Jr. as their East Coast Director of Sales and Business Development. Fiorentino boasts over three decades of experience in the designing, selling and implementing automated storage and retrieval systems in facilities and organizations throughout North America. Prior to coming to Sapient Automation, George has spent years with White Systems, KardexRemstar and the ISD Division of Anderson and Associates in systems sales and development roles. In 1983, he joined White Systems as a Regional Manager and spent almost 22 years at White, leaving as one of their most successful salesmen. Fiorentino has won many “Top Gun” yearly sales awards at White Systems and also received the exclusive “Best Carousels Salesman Award” in White Systems’ 45+ year history. Fiorentino left White Systems for KardexRemstar’s systems group. At KardexRemstar, George helped strengthen a sales region while significantly building the systems group. The KardexRemstar systems group added support and sales staff while Fiorentino was there and helped triple their annual sales volume. George left KardexRemstar to become a Sales Specialist for Andersen and Associates ISD Division. He had national sales responsibility and also worked on business development. During his long career, Fiorentino has been involved in many major storage and retrieval system design projects, including systems for Gardner Denver, Mazak, Saia-Burgess, and Northrop Grumman. Likewise, George has been involved in the designing of systems for CVS, Rite Aid, Johnson & Johnson, GE, Merck, Astra Zeneca, and WL Gore. He also has an extensive background in healthcare and hospital applications, as well as manufacturing kitting. George was a seminar speaker at Promat and North America tradeshows from 2006 through 2009. From simple automation projects to integrated systems to “green field” entire facility design, Fiorentino has been able to help design systems which meet or exceed throughput, productivity, space savings, Return on Investment (ROI) required by his customers. George Fiorentinos knowledge in the sale and integration of automated high density storage systems which save up to two-thirds of existing labor, 85 percent of wasted space and increase accuracy to 100 percent in order picking, MRO, maintenance repair and operations and spare parts for warehouses, manufacturing, wholesale, government and institutions. Fiorentino is experienced with technologies including the Viper Vertical Lift Modules (VLMs), Hornet Horizontal Carousels and Avenger Vertical Carousels, conveyor, shelving and other material handling equipment. Fiorentino began his career in the material handling industry in 1980 as a Sales Specialist for GLESCO, a Hallowell Master Distributor. George was trained by Hallowell on the Clay Bernard Systems Division of Hallowell and the Hallowell Hustler. With thanks to Ed Romaine, Chief Marketing Officer (CMO) at Sapient Automation, for the industry profile & background. Romaine has spent over 20 years involved with companies looking to maximize manufacturing, healthcare, distribution and warehousing practices using simple automation. Romaine is a frequent editorial and information contributor to hundreds of publications and a speaker at many Supply Chain, Logistics & Ergonomic functions including the Institute of Industrial Engineers (IIE), Promat, North American Material Handling, Southern California Plant Operations, NJ Material Handling Assoc., Applied Ergonomics, Warehousing Education & Research Council (WERC), Lean Manufacturing Conference, Council of Supply Chain Management Professionals (CSCMP), NeoCon, Health Information Distribution Association (HIDA), National Catalog & Operations (NCOF) and more. Within the industry trade organization, Material Handling Institute (MHI) Romaine is the Chairman for the Supply Chain Execution (SCE) group of America (2009 to current), was Chairman of the Order Fulfillment Council of America (2003 to 2008) and helped create the Carousel and VLM Product Section Group. He has spearheaded the efforts to create the first industry safety standards for horizontal carousels. He has an undergraduate degree from Ohio University and completed the Competitive Strategies program from Wharton Business School. There are many small businesses which are run from home, & having a nice working environment at least makes the daily grind more relaxing. Guest contributor, G. Smitty, has the following information regarding a nice addition to any home office. Office furniture is an important consideration when you have to start a business. Even if you want to launch a home business, the office furniture is still necessary. The advantage you have is that you have many options. The oak roll top desk is one of those options. When you want a simple writing desk, this type is the best. It comes in a few designs, but they all have a roll top. You can find a desk for adults and kids with an oak finish. If you want a lovely piece for yourself, you could find it online. Many sites have nice furniture that will match your tastes and preferences. The following are features of a typical roll top desk with an oak finish. • After the vendor delivers this desk to you, assembling is necessary and it is easy. This elegant and versatile desk is just right for your home. Anyone including older children can use it. Since it comes with a matching chair, you do not have to spend extra time looking for one. The chair has just the correct height even for a taller user. Just below one of its shelves, you will find a big space to allow you to spread your legs. The wooden chair is perfect to maintain a good posture. Since both the table and the desk match perfectly, they will still add in the beauty of your room. The design is ultramodern and attractive, so you could keep the desk where you want. The few drawers it has are necessary for all your storage needs. Once you have finished using it keep each item. You can safely pull out a drawer, store the item inside and slide the drawer in again. For durability, this oak roll top desk has tall legs with a square cut, making it a simple looking item. Thus, its raised design makes it easy to protect its quality wood and oak finish from wetness and other risks. If you bring office paperwork at home, you need a desk such as this one. For your kids, the junior roll top desk with a light oak finish will do. When the vendor delivers the desk, you will have to assemble it. Then, show your children how to use the desk to keep their schoolbooks and tools inside its drawers. A price of $280 is nothing compared to the damage your kids could cause in your living room. Kids will even lose their items and come back to you for others crying. If they learn the importance of using this desk, you will not have to worry any longer. You could keep this Oak Roll Top Desk for kids in their bedroom. G. Smitty is a writer who loves to discuss many topics ranging from Solid Oak Desks to professional basketball. Thanks for reading! It’s hard to imagine a modern distribution system without pallets and palletized loads. With the exception of single parcel shipments, just about everything shipped in any quantity is placed on a pallet and unitized into a compact high-density load for transport. Pallets are stacked, placed on racks (shelves) and handled in many different ways with the goal to deliver products quickly and efficiently. Pallets have made bulk handling of product extremely simple and the fork lift truck that moves pallets is common in stores, warehouses and any area where product is moved. Describing a pallet and the product it contains is straightforward. A pallet is a raised platform upon which goods are placed for transport. Typically, the palletized items – cases, bags, cans, bottles, etc. – are smaller than the pallet. The pallet becomes a space efficient, easily handled transport mechanism for all of the smaller items. It may be made of wood, plastic, metal or corrugated kraft board and is usually rectangular in shape with the standard size of 40 in. x 48 in. The product is arranged on the pallet in an orderly and compact pattern permitting efficient handling throughout the distribution system. Patterns conform to the pallet shape and produce the optimized load in the pallet dimensions while maintaining structural strength forthe load. Pattern design is dictated by how the pallet is handled in the distribution system. Pallets with a pattern designed for a shipping container may be different than those that move through a trucking system and a racked warehouse in a distribution center. The cases are not stacked the same on each layer on most pallets. Rather, an interlocked arrangement of cases is used to stabilize the load. Cases are arranged by length and width against each other to form a layer of the multiple layers in the unit load. Unless the cases are heavy or large, the tiers or layers are changed, normally rotated 180 degrees, to maintain structural strength in the stack of the load and to keep the layers from breaking apart in transit. 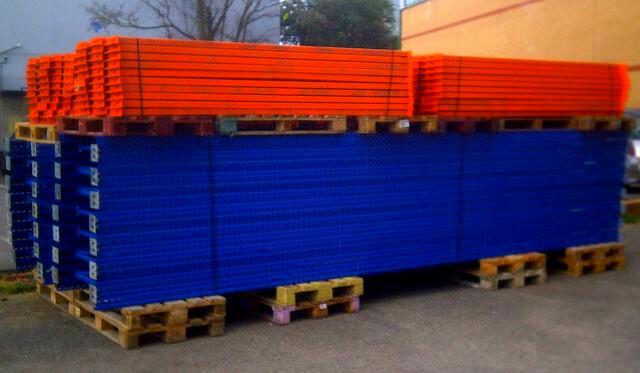 Many pallet patterns deliberately produce small gaps or openings within the layers. This gap is a result of how the positioning of the cases end up creating a uniform outside cube on the pallet. In determining how to palletize product, the packaging engineer must have an overview of the distribution system, the method of transport and the storage requirements of the product to determine the pallet load design. Originally hand palletization was used to stack the product in the pattern specified. While it is the most versatile way to stack product on a pallet, this method is only effective when the rate of product being palletized is slow. Automated single product palletization with a single pallet pattern evolved from hand palletization. High-level palletizers were developed to handle high-speed production operations that produced product at 50 to 60 (or more) cases per minute. The machines quickly placed and stacked cases on a pallet for shipment. Most high-level palletizers can handle six layers or tiers of product per minute. This modest beginning of one type of machine from the mid 20th Century has now evolved and expanded into a variety of methods for placing and arranging products on a pallet. Beyond the four basic units there are a number of other palletizer types with very specialized designs. These designs address unique products or situations including bulk palletizers for empty cans or bottles, and miscellaneous palletizers designed to palletize products packed in bags, drums and kegs. These are a small part of the overall market. Of the four basic designs or types of palletizers the high-level or low-level are used most often for high-speed operations. This is sometimes referred to as fixed automation (the machine does not move). The difference between the two designs is how the tiers are first organized and then stacked on the pallet. The name “high-level palletizer” describes, in general, the operation of the machine. A high level palletizer receives the product being palletized at an elevation or level considerably above the pallet. The pallet is fed into the palletizer from a magazine or accumulation station. As the pallet enters the palletizer it is raised and positioned under a bed or tray. The product moves onto the bed or tray and is organized into a single layer or tier of product. The pallet is below the level of the assembled tier and the entire layer of product is gently placed on the pallet. The equipment then begins organizing the second tier of product, modifying the arrangement of the cases to match the requirement of the pallet pattern. A slip-sheet, a heavy sheet of paper or paperboard, is sometimes used to separate the layers. The pallet and the first layer of product is lowered to the height of one layer and the second layer is placed on top of the first. This lowering of the pallet, layer by layer, is repeated until the correct number of layers is in place. The full pallet then lowers slowly to floor level and moves by conveyor or forklift to any banding or stretch wrapping operation employed prior to shipment. A second pallet is moved into position, raised to the level just below the forming bed and the process is repeated. “Placement of the first layer on the pallet and placement of subsequent layers is critical in all palletizing operations,” says Ted Yeigh, Columbia Machine Inc., Vancouver, Wash. Products may not fit the standard dimensions of a pallet and when placed on the pallet they may “overhang,” or “underhang” the pallet edge. (Overhang means the cases stick out beyond the edge of the pallet, while underhang means the product does not reach to the edge of the pallet.) The palletizer must place each layer of product on the pallet in precisely the right position to minimize problems created when there is too much overhang or underhang. Low level palletizers have the advantage of smaller footprints than high-level machines. A pallet in a low level machine is neither raised nor lowered and the tier or layer is formed at a level closer to the floor. Each layer is formed on a bed and then raised and lowered to transfer the load to the stationary pallet. The bed then returns to the starting position and the next layer is formed. After the pallet is completely loaded, it is discharged from the palletizer and another pallet is positioned and the process is repeated. Low-level palletizers normally move two and possibly three layers per minute onto a pallet. Robotic palletizers, both articulated arm and gantry type, have begun to appear in increasing numbers in the last decade. Usually considered pick and place systems, robotic palletizers can pick up a single case or multiple cases of product from one or more locations and place them at pre-programmed spots on the pallet bed. Basic computing capability, combined with sensors to identify product variations, make robots intelligent systems that can identify and separate multiple product or package outputs. Robots also offer the ability to automate multiple production lines with one machine. By placing the discharge of multiple lines near a robot location, one robot has the capability to identify and handle multiple products. Robotic palletizers can also produce multiple pallet loads based on the size, shape or other identifying characteristics of the packaging line output, on multiple finished pallets. This is accomplished by the robot’s ability to rotate or move—a capability not available in fixed position high- or low-level conventional palletizers. Robot palletizers are generally slower than conventional systems because they may handle one case at a time or because they manage multiple functions at the same time. They typically handle 15 to 30 cases per minute. Like all robots, those used in palletizing are described by the type of arm they use. Smaller, lighter products or applications use an articulated arm with multiple axis capability. Heavy weight products rely on a heavier arm or a gantry arm that typically has a limited number of axes of movement. This distinction is not absolute, however, and one can find cross examples with many variants in different robot palletizer operations. The last group of machines are specialized palletizers designed for unique products or material handling opportunities. Bulk palletizers are the most common of these specialized units. A typical packaging application for a bulk palletizer would be building loads of empty cans for shipment from the canmaker to the filler. The unfilled package is palletized at the manufacturing location using a minimum of packaging and then transferred to the filler. Cans fit well in this bulk handling process, given their high inherent column strength. Metal cans are assembled in layers on a pallet with a slip-sheet between the layers. Each palletized tier of cans is banded to secure the load and then transported to the can filler where the process is reversed and the bulk cans are depallitized onto a filling line. The computerized controls also provide improved data gathering and reporting. Real time reporting of production, alarm reports and downtime reports are some of the common capabilities customers need to refine their operations, along with other pieces of information important to the supply chain, like hourly output. Many of the new machines also contain complete schematics and operation manuals making them simpler and easier for people to troubleshoot and repair equipment without a call to the equipment supplier. In many cases, the computer interfaces walk the operator or mechanic through troubleshooting or preventative maintenance. These interfaces are permitting palletizer makers to produce higher speed machines that can handle smaller case sizes. “Many of the big box stores are moving to smaller cases and in some instances from traditional cases to shrink-wrapped product bundles increasing the capability and handling demands required on the machines,” says Yeigh. Both manufacturers and retailers are attempting to reduce waste and packaging, to deliver the largest amount of product to the consumer with the least amount of packaging. Ergonomics are a big advantage palletizers are bringing to smaller manufacturers. “A palletizer, either a conventional low level or robot, will minimize ergonomic issues associated with repetitive motion, lifting and rotation by employees doing hand palletizing,” says Dave Mathews, sales channel and new product development manager, Brenton Engineering Company, Alexandria, Minn. Small manufacturers are becoming aware of these advantages and in many cases are installing machines in operations that were not considered for a palletizer based on ergonomic improvements for employees alone. Palletizers still have much room for improvement. The ability to organize at the case or unit level has started but still requires more refinement. Today’s supply chain, with its speed and intricacy, is a very new animal. The challenge facing palletizers is taking an old idea and keeping it new and useful to the new ways of handling and distributing product. Columbia Palletizing provides expert palletizing equipment for manufacturing, shipping and receiving. There is no doubt that shop fittings are a costly business. 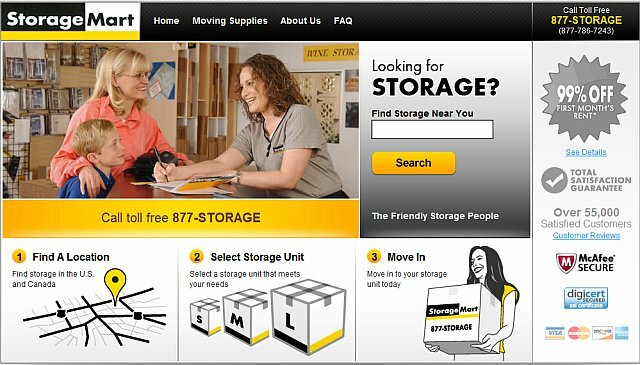 If you are working to a tight budget and want to purchase your shelves at a price that you can afford, you may want to consider slatwall panels. Slatwall panels are made from medium/high density fibreboard which provide the strength to support virtually anything. By adding slatwall hooks you can support goods with weights of up to 40 pounds. Insert some metal grooves and you could increase this to a whopping 60 pounds. Slatwall panels are an economical way to purchase your shop fittings as they are much cheaper than solid wood but do an equally efficient job. Many business owners opt for slatwall panels as they combine elegant design and top-notch functionality into simple, uncluttered form. They can also be cut to fit into any awkward corners. Finished with a metal edge, they enhance the look of display cabinets or your main counter. When fitting out a shop, it is important to create the right ambiance. Good design is the perfect way to differentiate yourself from your competitors. Slatwall panels give you the freedom to be creative. They come in a variety of colours and can be cut according to your needs. They also provide the easiest and most cost effective way to energize a new store and turn it into an attractive showcase for your business success. With the versatility of slatwall panels you do not need to arrange your background against your fittings, you simply design your fittings around your background. Slatwall panels make it easy to create perfect displays for products that need to be hanged. The hooks are so easy to rearrange. Stock can also be displayed using shelf brackets, hang rail brackets or hang rail bars. This makes it easy to chop and change your display and breathe inspiration and creativity into your goods. A recent news article showed that a camera displayed on a clear plastic slatwall shelf sold in minutes as the simplicity of the design became the first point of interest to the subconscious mind. DIY enthusiasts may be able to save even more money by installing their own shop fittings. However, it may be worth running this past your insurance company. A professional will give you the peace of mind that your shelves are installed correctly and will withstand the weigh of items that you wish to support. It is important that your shop fittings provide adequate protection for your stock and will not provide easy access to a thief. Slatwall panels give you the versatility to display your more expensive items on higher shelves. This has the effect of exhibiting higher priced items directly into the viewpoint of those who enter your store. This could promptly lead to a customer wanting to view the item which is out of reach and open up conversation. Then, all you have to do is hone in on your sales skills to ‘bag’ those more expensive items! 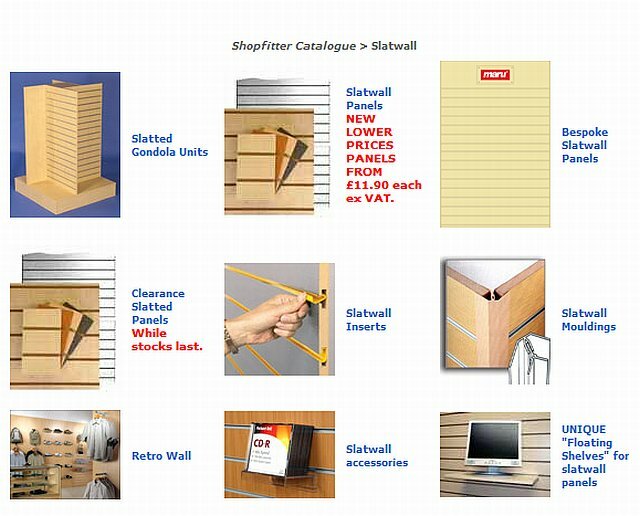 For details of slatwalll visit Caranco in the UK, for a complete range of accessories for slatwall. 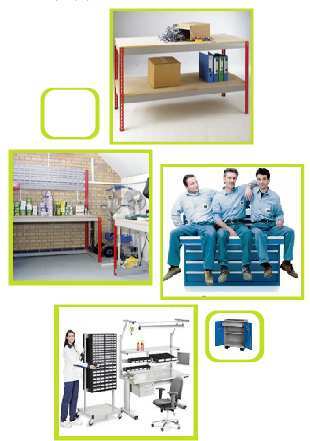 Caranco offer shop fittings and display equipment for retail and display premises. All products come in various sizes and offer a multitude of options. With the passage of time, paper is hardly used in various business and office work these days. Paper work has been replaced by different forms of digital documentations because of the fact that digital documents are easy to maintain than paper document. Documentation has been shifted to digital form because of many reasons, the primary being those of costs saving, productivity gains, information sharing and space saving. Paperless solutions are also accepted as they contribute in protecting the personal or important records from illegal users. The traditional methods of documentations comprised paper folders, paper files, filing cabinets, shelves, drawing cabinets, compactus and microfiche systems, and required large space, equipments and maintenance. But the paperless solutions only require a chair, desk, scanner, printer and computer and the striking part is that it occupies very little space. Moreover, as all the information is stored in digital form, it makes it easy for the users to keep the records properly. In large organizations, there is a need to store and record huge amount of data and for this, documentation management has to be strong enough to keep the records properly. Paperless solutions are a good way to manage the records and documents so that they can be utilized for future uses as well. Paperless documentation contributes in converting information into paperless records and documents by using the highly advanced technique of document management software. By using paperless software, efficient management of data is done. In addition, other features of electronic documentations are that one gains huge levels of communication and security and that too with various striking functions and uses. Future Filing is a reputed company that looks into the needs of the customers by taking care of document management and offers paperless documentation software. The system has been specially designed so that business units can easily store and manage records for future use. KIXZO is the paperless solution of this company which provides easy paperless solutions. 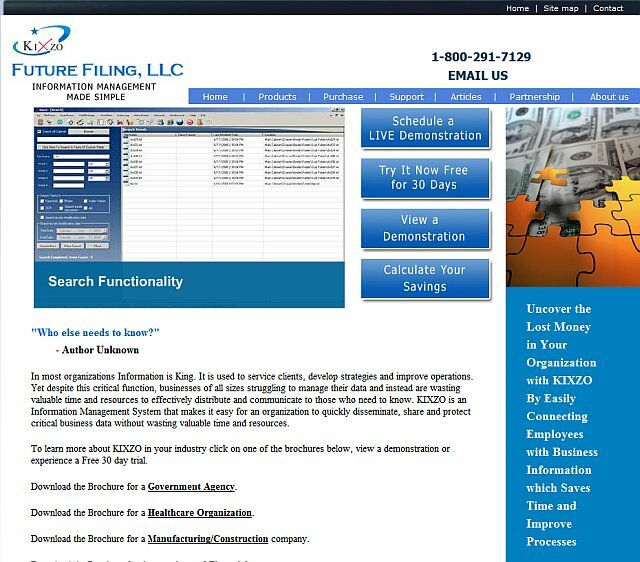 For information on paperless, electronic document filing, paperless documentation and paperless document storage, you can log on to futurefiling.com and know more great paperless solutions. Thanks to Ngai Cobb, for this information on paperless office solutions. Ngai is a well known author who writes about Paperless Solutions, he has expertise in Paperless Office Solutions and Future Office Solutions. Second hand storage available in Harrow, Middlesex. 240 Beams 2700mm, complete weight is about 2 Tons.